All grown-ups would definitely remember the neighbourhood kirana stores in the localities we stayed. The owner used to welcome us with a smile and he knew what brands we were looking for. He would also know the tastes of each of our family members. We could request him to stock what we wanted and they would be there in a day or two. You have forgotten your purse one day or you would want to pay the dues only after you get your salary? No problem. He would keep a record of what we had bought in his pocket diary. But there was this flip side. We never used to get the latest brands. And it was also not that easy to pick up the best from the vegetable or fruit baskets. We had to satisfy with what the vendor would give us. In every country we used to have plenty of such neighbourhood stores. Now we find hardly a few in the immediate vicinity. As part of an academic program I was in Syracuse in United States, a couple of years back. Though weekend grocery purchases were made from Walmart, the occasional visit to the nearby ‘kirana’ store run by a Palestinian gentleman was the most pleasant one due to the personal attention and warmth received. Small is in fact beautiful anywhere in the world! Now, large provision stores and supermarkets owned by multinational brands are located in every small town. Families like to go for shopping in these air conditioned stores. They stock goods of all types, all available brands, and the items are well arranged for us to pick up whatever we want. I am not sure of how much personal attention we would get in such super markets. There is large scale entry of Foreign Direct Investments in the retail sector in many countries. This has thrown fresh challenges for the small retailers who were struggling to survive amidst large supermarkets all around. Mr Ramesh is the proprietor of Adhilakshmi grocery store in a large residential area in Bangalore city. All was good for many years. But establishment of many supermarkets all around changed his fortune. He was very much perturbed by the dwindling number of customers to his shop. 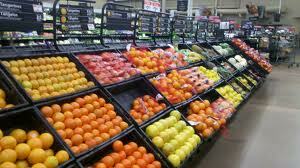 Many preferred to go to nearby supermarkets such as Reliance Fresh, Spar Hyper Market (now, Auchan), Total Mall etc. He could hardly maintain his family from the meagre returns he got from the business. Actually the shop was running under loss considering the interest burden on the loans taken for the security deposit given to the room owner. Ramesh wanted to take the supermarket challenge head on rather than running away from the business like many other small retailers. He studied the situation and explored various strategies to improve his fortune. He kept on saying to his wife: Nothing is impossible. We will definitely get back our customers. Shifted to a nearby building where he got extra space in front of the shop to keep the goods. The rented space was the same (10x20 sq ft) and he managed to get the rent fixed for thousand rupees less than the amount paid to the previous owner. He surveyed the large supermarkets in and around the residential colony and studied the products and services offered and the shopping behaviour of the customers. He contacted the distributors who can supply everything that is being sold in the large supermarkets in whatever small quantities he wanted. He took the help of a friend who is an interior designer to design the shelves and interior of his small shop so that the space can be better utilized and the products are arranged in the most attractive manner. He ensured that the customers have access to all items where they could pick up the best for themselves. He got all the latest brands of items that are in regular demand. He appointed a boy for door delivery if the telephonic order is for more than Rs 100/-. The shop is opened from 6.15 in the morning till 11.15 in the night without a break. His wife manages the shop when he goes for his afternoon break. He even fixed a surveillance camera with a monitor in his small shop. Now most of the residents in the residential colony throng to Ramesh’s shop every day. Customers say that all grocery items, fruits, vegetables, ready to cook items, confectionaries, toiletries, and even essential stationery are available in this shop now. He ordered beautiful clothe bags from a wholesaler and given it free to the customers. No polythene bags are kept in his shop. In a city with acute traffic congestion, spiralling fuel costs, exorbitant parking fee and paucity of time, people started preferring this neighbourhood kirana shop for daily purchases. Visits of many residents to the large supermarket were reduced to once in a month. Turnover in the shop increased almost three times. In the morning, it has become a practice for many to end their morning walk at this shop to buy fresh vegetables. People patiently wait for the billing. This is a one man shop: Kumar does everything and he is never tired. There are many lessons one can learn from Ramesh. First, with proper strategy and innovation, any venture, however small it is, can be made successful in spite of various challenges. Second, people ultimately prefer quality at minimum cost, it doesn’t matter who provides it. Third, one should be wise enough to understand the expectations of the customers. For this, one needs to do research and market survey in own humble way and style. Knowledge is in fact free for those who seek sincerely. One need not necessarily hire a professional consultant to understand what is best for him. Fourth, with positive attitude, earnest desire to succeed and a willingness to be industrious, any David can defeat any Goliath. Remember the famous quote: ‘Tough times never last, but tough people do’. Movements and organizations have brought in radical changes that transformed societies and cultures all over the world. Most of these happened because of certain individuals who initiated, strengthened and spearheaded the movement. Their charismatic and captivating presence have instilled vigour and enthusiasm among the people. Most effective instrument that stimulated and influenced millions was the historic speeches made by these great individuals. Many such speeches have relegated over time to oblivion. Interested readers had to search for the same in available biographies. Researchers had to explore the archival data to get the finer details. Present generation is fortunate to have a glance on some of these great speeches. Attempts made by a few to compile some of the great speeches that left lasting impressions in the history of the world are appreciable. One such compilation is exceptional for the selection of speeches and unique style and presentation. The book, under review is published by Quercus Publishing Co London with the title, ‘Speeches that Changed the World’. The book has made a beautiful presentation of the words and stories of the moments that made history. The compilation starts with a wonderful introduction by the historian and writer Simon Sebag Montefiore (who wrote the famous book ‘Stalin: the Court of the RedTsar’). 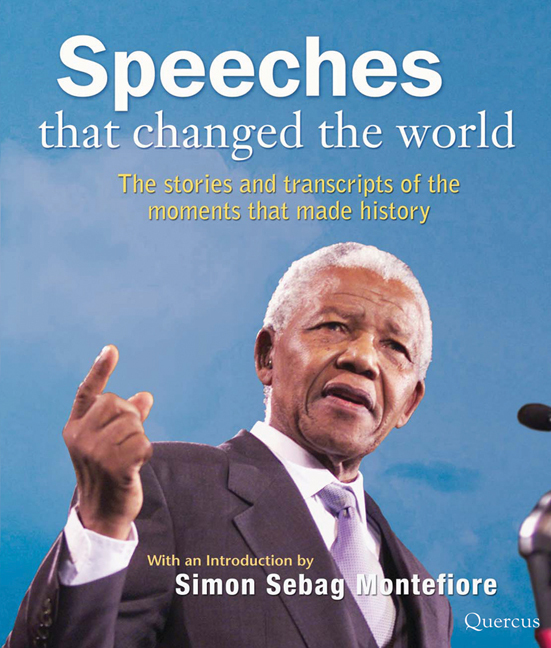 It contains thought provoking and inspiring speeches by about 50 historical figures. The cover picture is of Nelson Mandela waving to the crowd from the lectern with his charismatic smile. The book contains speeches from Moses, Jesus Christ, Mohammed, George Washington, Napoleon Bonaparte, AdolphHitler, Emperor Hirohito, Martin Luther King Jr, Indira Gandhi, Mother Theresa, Mikhail Gorbachev, to name a few. For Montefiore, the best speech is one that marks no great event but merely pinpoints with splendid language, moral rigour and righteous fury, ‘the essence of all decent civilization’. He is influenced very much by the speech of Elie Wiesel ( who is a writer famous for his witness to the sufferings endured by Jews in the concentration camps of Nazi Germany) on the ‘perils of indifference’ and invites readers to the thoughts on history and the private individual beautifully presented by Wiesel. 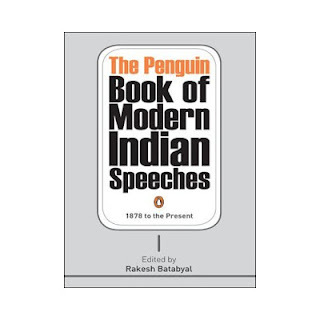 There is no uniform criterion in the selection of speeches in this volume. One cannot find any uniform thread that connects any common theme. However, these speeches unravel unique personality traits, ideological underpinnings, emotional dimensions, public confessions, repentance, convictions, and double standards of the respective speakers. History of the world is marred by frequent wars and rivalries, both covert and overt. Obviously in most of these historic speeches, the main theme is either inspiring people for renewed fight against the enemy or appealing people for peace. The war-peace dichotomy is very much evident in different historical periods. Wars were fought in the name of God. Even today the ‘Holy wars’ continue in different parts of the world. Speakers took the name of God to legitimize the war and violence. Saddam Hussain and George Bush and many other rulers have just continued the historic divine legitimization. Queen Elizabeth I (1533-1588) spoke against the potential Spanish invaders. In her famous speech at Tilsbury near London, she said ‘we shall shortly have a famous victory over those enemies of my God, of my kingdom and of my people’. King Charles-I (1600-1649) said ‘I have a good cause and a gracious God in my side’. Oliver Cromwell (1599-1658) believed that God had been behind his victories in civil wars and that he had been chosen to enact God’s will on earth. He tried to get rid of the parliament, to establish a ‘godly society’ in England. He spoke, ‘..by God’s help, and the strength he has given me, I am now come to do, I command you…..’. Sources of the speech and the version of the translation are not clearly given. This is very important, especially of the non-English speeches of early centuries. In the speech called the ‘The Sermon on the Mount’ by Jesus Christ, serial numbers for the sentences should have been avoided as that will be confused with the original numbers of the Biblical verses. Similarly, it would have been better if the speech was presented in modern English rather than in the archaic style. Anyone who is interested to understand these great persons and the historical, cultural and political contexts of their times shall pick up this book. This book would also provide the much needed motivation to present day youth and students who aspire to become the leaders of tomorrow. Some of the excerpts that I found interesting in the volume are given below. “So let us begin anew - remembering on both sides that civility is not a sign of weakness, and sincerity is always subject to proof. Let both sides, for the first time formulate serious and precise proposals for the inspection and control of arms, and bring the absolute power to destroy other nations under the absolute control of all nations. Let us both sides seek to invoke the wonders of science instead of its terrors. Together let us explore the stars, conquer the deserts, eradicate disease, tap the ocean depths, and encourage the arts and commerce. ‘ I have a dream that my four little children will one day live in a nation where they will not be judged by the colour of their skin but by the content of their character. I have a dream today. …..
A new world order and a global war in 21st century? History never repeats itself. But men are inherently inquisitive to know not only about their immediate past but also about the events that shaped history. History as an academic discipline evolved over a period of time to make people aware of the cultural and structural transitions taken place within and across nations and communities. However, of late, there is scant academic interest to pursue formal history courses by students. Thus millions of people of the new generation hardly find the history books and narratives by historians appealing. However recasting history has been never an easy job. Even when historians attempt to narrate past events with lot of research and archival investigation, the same are never spared of criticisms and accusations of biases. Different schools of historians interpret history from particular ideological positions and one would wonder whether there is anything like true history. Similarly, people who control the learning institutions from time to time tend to add, change, or delete particular historic narratives and historic relics. Consequently, there emerged a feeling that objectivity and positivism are never to be expected from history as it is told today by many. It is imperative to discover ways and methods to have access to uncorrupted history. One such attempt to deliver true history in a very interesting way is to bring it to people in its original form and content. Rakesh Batayabal has made a very valuable attempt to take Indian history to all those people who would like to know straight from the ‘horse’s mouth’. That is precisely what he has done, when he took pains to compile 161 historic speeches of more than 115 persons who made history. Each speech clearly takes the reader to the historic, cultural and social settings when the speech was delivered. Reader would definitely feel that he is one among the audience and would experience both the emotional and intellectual reverberations emanating from the speaker. The book is a rich source for gathering unadulterated and diverse perspectives based on true narration of historic events and social facts. 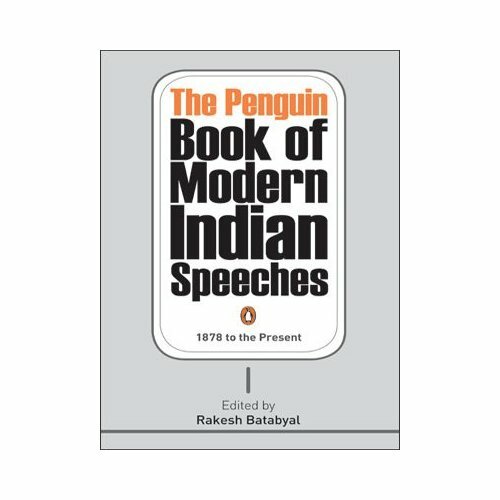 The real contribution of the book is not just its efforts to bring about a systematic presentation of the story of evolution of modern India. But the vital role it plays to make history interesting to common man. 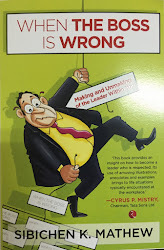 I am sure this book will catch the instant attention of not only the academicians and students but also the busy technocrats, professionals and the men in businesses who would like to understand the unique Indian trajectory to become a global player. David Mccullough has said that ‘history is who we are and why we are the way we are’. And this book will definitely help every Indian find answers to several of his existential questions. Market structure and corporate power have been inextricably intertwined in the globalized world. Both gain considerably from the opportunities offered as a result of the rapid changes in the area of communication and technology. Thus businesses and economy of particular countries get exposed to international laws, procedures and conventions. Such an exposure should ideally contribute in strengthening the economic ties between businesses and countries. Corporates that had the resources opened their wings worldwide in search of markets. Even those firms which didn’t have enough resources also strived to be global players for their survival. As the field was wide open for the players –small, medium and big, world witnessed different ball games within the same space. Balls were kicked, thrown, pushed and tossed as the referees were asked to be liberal onlookers. Those who tried to bring in rules to end the chaos were accused as advocates of red-tapism. Meanwhile, teams competed to buy, sell, borrow, and lease players and balls. That required large cash resources within a short span of time. Major financial players extended liberal support to many in need. The climax was faster than expected. In games, some clear winners emerge at the end. But in this ‘free for all’ game without referees, the giants stumbled upon the biggies and both of them smashed the dwarfs. The result was a none-win situation. Chaos and confusion originated in the field spread beyond not only to real lives of onlookers but also to the masses who were toiling for their daily bread quite unaware of mega market free game. John Lie has rightly said that the study of markets is too important to be left to economics. But economic rationalism rules the financial and corporate world with little understanding of the way markets actually function. The economy is perceived to breathe through the stock exchanges. 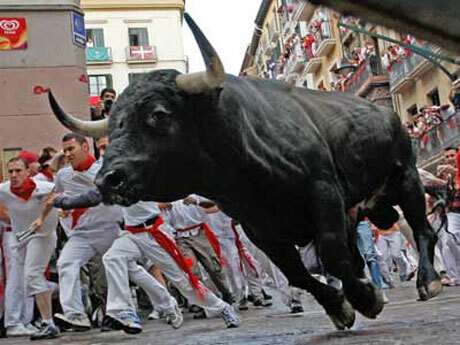 Analysts predict the glooms and booms in the economy based on the random numbers smoked out of the stock exchanges. Little they realize that the stock markets are nothing but institutions that survive on the fears, apprehensions, hopes, rumours, and gossips generated (deliberately and otherwise) on the greedy middle class dreamers and also on the smart moves of the loyal insiders. Meaningless numbers from these unscientific institutions are transmitted across the globe as if those are the readings from an Electro Cardio Gram that monitors the cardiovascular system of the economy. The reports are never analyzed to examine the causative factors, but prescriptions are given. Often the patients themselves suggest the treatment that governments need to prescribe. The pills are forced on the government rather than on the patient. And the panacea for all diseases that affected the economy and the businesses are suggested to be the policy and process of de-regulation and unlimited freedom for everyone to do what they want. The logic is that market will effectively control and balance itself in a globalized world amidst contrasting legal frameworks of particular countries. That is what is called economic rationalism. The failure was quite predictable. Neither higher professional acumen nor unique prophetic skills required to understand the trajectory of games in an absolutely free market world. The moral of the true story is not ‘no laws means no loss’. The message that emerges out of the painful historic experience termed as ‘recession’ is the need to have an effective cross country regulation rather than the sermon for de-regulation. Corporate governance and business policies need to be governed by global norms that are sensitive to local needs. Problems cannot be solved by just replicating Sarbanes-Oxley Act of US, or any country specific regulatory institution. What required are global regulatory institutions that govern inter-country transactions in a most fair, equitable manner giving ample scope for healthy competition and balanced growth. Therefore, what is important is not economic rationalism but sociological realism. It is for the governments to think of sitting across the table for formulating regulatory institutions of global character and representation. That can happen not through tripartite talks, regional alliances or specific groups of countries. Though existing country networks can have their own working groups, decisions need to be taken at a very large level so that views and interests of all countries are considered fairly. It is to be debated whether UN which is the organization with large membership-base has the necessary power, will, and acceptance across the nations to initiate the action to have an independent regulatory body for global corporate and business governance. India and Indians travelled far and wide in time and space. The biggest critics of India now are Indians themselves. Some of the Indians who are fortunate to travel or stay abroad come back and shout: ‘What a wretched country is this? What an inefficient government we have here? Poor infrastructure, undeveloped villages, beggary, unemployment, and crowded roads! No discipline whatsoever!’ But with which countries they are comparing? The comparisons are always with less populated countries with huge natural resources, historically prosperous and with a much earlier technological advantage. Whether Indians recognize this or not, whether others admit this or not, India is a miracle. India’s growth is unique and without any parallel across the globe. It takes its steps up in the ladder of development and prosperity with a huge population of 1210 million. India can be compared only with itself, as there is no other country with such complex characteristic features that are critical for growth. Just for the sake of comparison, one could possibly compare it with China in terms of the demography. While China has a population density of 143, India has a density of 382, almost triple that of China. 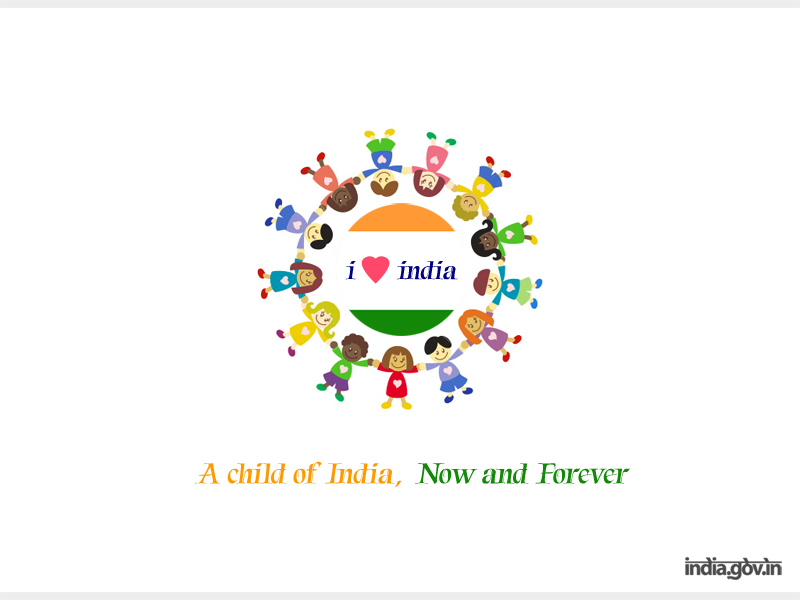 Anyone who looks down upon India should first appreciate its strengths. Which large country in the world has grown so rapidly in the last several decades? And this has been achieved in spite of numerous historical, geographic, demographic, social, cultural, political and economic challenges. The country was subjected to external aggression and subjugation of a large number of rulers and powers for centuries. It had hundreds of little kingdoms and rulers fighting each other, most of them with tacit support from foreign empires. Its resources were plundered to alien countries and its cultural heritage was partially destroyed. It had to face the bitterest partition. Which country in the world was ransacked so extensively by rulers after rulers? Which country in the world has faced a combination of challenges related to various structural, cultural, social, and political heterogeneity? Substantial part of the population lives in rural areas and their subsistence is agriculture. About 25% of the population are designated as belonging to backward communities as per different schedules. People of the country have strong diverse primordial, religious, social, and regional loyalties. Added to the above complexities, India has been facing several deep rooted malaises emanated from sectarian, corrupt, crafty, and destabilizing forces that have origins in India and elsewhere. With all the above growth retarding elements, India has emerged as a global leader. Before criticizing the country as having poor score in corruption index and development index, one should understand the strides it took in spite of all the challenges! Start with the robust democracy and the successful 15 general elections! With more than 1200 small and big political parties and hundreds of communities at loggerheads, we never failed to elect our leaders in the most transparent manner. No scope for coup, dictatorship, anarchy, or fascism in this country. If we could remember the last elections, parties canvassed about 714 million voters in the most peaceful manner. About 417 million people walked to the ballot box to exercise their votes without any fear or threat. Even when terrorists shot dead their national leaders twice, the country never shook a bit. It regained its strength. All parties rallied together for protecting the country and it continued to be a unitary force. From a country with less than 20% literates before its independence, India has become a country with about 74% literates in 2012. Only less than 7% who belong to the scheduled tribes in the country were literates. Now the country created a record by making it around 48% in 2012. 80% of urban female population and 59% of rural female population are literates. Very few countries with similar conditions have achieved such a sharp rate of growth in literacy. Country could provide banking facilities to about 59% of the population, which is a rare achievement in a large country like India. More than 63% of the population has access to their own telephones/mobile phones. 116 million households have television. More than 23 million households have computers or laptops. US National Academy of Sciences (NAS) in its report entitled ‘Rising above the gathering storm’ used the word storm to refer to India and China. It said these countries have become challenges to US as the global leader in Science. Don’t forget the fact that it was the Indian scientist J C Bose who demonstrated to the world as early as in 1895 that communication signals could be sent through electromagnetic waves, without the use of wires. This unique invention done in Calcutta is the secret behind today’s cell phone technology. Indian scientists are occupying important positions globally now. Yes, the country has many scholars who have the potential to become another C V Raman or Srinivasa Ramanujan. World Bank Global Economic Prospect’s Report released on 15th January 2013, says that global economy remains fragile as high income countries continue to suffer from volatility and slow growth. But as per the above report, the prospects for the developing countries like India remain solid. Growth in high income countries remained weak with an estimated GDP growth of 1.3% in 2002, and it is expected to remain there itself in 2013 also. But developing countries recorded a growth of 5.1% and projected to expand by 5.5% in 2013 and 5.8% in 2014. The above report says that the GDP growth is expected to grow to 7.3% in 2015 in India (at factor cost), driven by policy reforms, stronger investment activity etc. The report projects that India’s growth will remain relatively high by global standards, and the country is likely to remain an attractive destination for global investors looking for long term results. A very optimistic reaction has come from Kaushik Basu, the Chief Economist, World Bank that India will reach 8.5% to 9% growth in 2 years. Statistics say that most of the advanced countries of US and Europe are the least safe countries (related to crimes) in the world. It is reported that India, though economically not very sound, is far safer as compared to several advanced countries. Going to overtake China soon! If the present growth continues, India will definitely overtake China; not in terms of population, but in terms of productive population and overall productivity. The advantage India has is the sizable population in the age group 0 to 14 now, whereas China’s huge chunk is in the age group 40 to 59. Therefore it is predicted that India will have comparatively more population in the productive age group in the coming decades than China. According the economist Douglas McWilliams, India will overtake China in less than 40 years. NationalIntelligence Council, a US Government entity in its Global Trends 2030 Report predicts that China and India will overpower long reigning US and EU in the coming decade. Bloomberg Business Week predicts that by 2020, India will have the capacity to spend $22.5 trillion dollars on goods and services. Population is not a liability; it is India’s greatest asset. With 65% of population in the productive age group of 15 to 59, country needs to develop a proper human resources management policy and device strategies for effective deployment of this precious resource. How long India will take to make the ‘under privileged’ people, privileged? Around 36% of the people of the country are living below the poverty line. 52% of Scheduled tribes in rural areas and 41.4% of Scheduled Tribes in urban areas live below poverty line. Allowing liberal incentives and tax holidays to all those who setup industries that promote employment and boost growth in villages would be a good option. India can become a global supplier of not only people but also various products. There are several potential areas. For example India, a country with more than 90 crores mobile subscriptions (second in the world) imports more than 80% of telecom related equipment. It is necessary to develop domestic hubs for manufacturing. We have about 9% of the population who are senior citizens. Most of the senior citizens live with various social, economic and health issues. The country needs to focus on their welfare. India requires a full-fledged ministry to plan and implement policies that make the life of senior citizens better. Large scale expansion of e-banking and making all transactions through banking channels are necessary. Creating one more tax slab for the super-rich, taxing all religious, charitable and educational entities with a minimum tax rate, taxing recipients of agricultural income of more than a specified limit etc. are worth examining. Instead of borrowing from global institutions and financial markets, corporates with huge funds may consider funding major infrastructural projects of government with lesser interest rates. Corporate Social Responsibility projects should be implemented by large corporate houses at macro level where their large contributions are visible and enduring. Country should make use of the advances in information technology and competent human resources, and encourage setting up of manpower-intensive outsourcing companies in the country for entities in advanced countries through appropriate policy intervention. It would be appropriate to optimize the number of employees by redeploying the manpower of government departments and Public Sector Units to new projects or by setting up platforms for entrepreneurship. It would be ideal, if the tenure of future recruitments in the government is limited to contracts of 10, 15 and 20 years so that inefficient ones are eliminated. There can be more lateral intakes so that efficient and competent persons will be always in demand. This will bring in work ethics in government. Credit for India’s remarkable progress goes to…. An incisive analysis of the trajectory India has taken to achieve radical transformation indicates that the credit for the remarkable progress largely goes to the unique cultural and social traits of this country. May be, we can call it the Indian mindset, which constitutes both positives and negatives. An unlimited spirit of inquiry, a fair degree of openness, tolerance without compromising on the convictions, absence of uncontrolled greed, reverence to culture and nature, priority for cooperation rather than competition, no undue regard for materialistic success, and a culture that endorses modesty, strong kinship and social ties, generosity, and spiritual quest. These traits and values are indeed embedded in the legal foundations, institutional structures, and collective conscience of the Indian society. 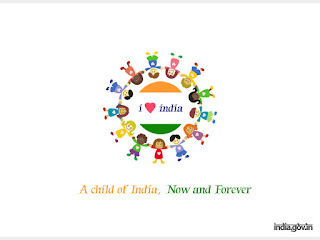 First, let all Indians take pride in their great nation! Next, work to make it better! Click COMMENTS below to give your views. At a time when 60% of Americans could not figure out where India was in the world map, Harold Isaacs asked his fellowmen who claimed to know India very closely, ‘What is your image of India?’ That was in 1950s and the answer was: “ Maharajahs, jewels, wealth, snake charmers, elephants, cobras, snakes, monkeys, mongooses, pig sticking……”( p. 244). I read the book ‘Images of Asia: American views of China and India’ written by Harold R Isaacs (Capricorn books, New York, 1957) yesterday morning. It was quite interesting to read about the perceived image of the country as narrated by the author in the 1950s. ‘India is a country of ‘emaciated people, diseases, ribs showing, shrivelled bellies, corpses, children with fly-encircled eyes, with swollen stomachs, children dying in the streets, rivers choked with bodies; people living, sleeping, lying, dying, on the streets in misery, beggary, squalor, wretchedness, a mass of semiaboriginal humanity…..’ (p.273). What a ‘poor’ image of India in the minds of affluent, equitable, prosperous Americans decades before! With those sad thoughts, I walked into the public lectures by Joseph Stiglitz, Ravi Kanbur, and Robert Wade on ‘Globalization, Development and Inequality’ yesterday evening. And I came back home with pride. Because all the three of them shared their anguish over what is happening to the people and economy of America and the advanced west. They say, it is not that bad in India! Inequality and unemployment are increasing rapidly in the United States. Top 1% of Americans get 25% of country’s income and one-third of country’s wealth. 90% of the gains of growth go the top 1%. The plight of most Americans worsened in the last several years. Who are these 1% people? 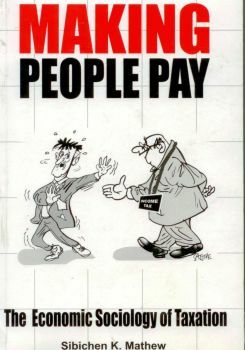 They comprise of ‘monoplists’, people in the finance sector, and those who earn corporate revenues. Youth are increasingly depending on their parents for survival. Gone are the days where every major citizen of America used to find a livelihood without depending on their parents or guardians. This has created a major social crisis. Reasons: Weak regulations that do not curb monopoly and policies to bail out the loss makers. At the same time, the students are facing severe loan repayment strains as rules are stringent. Corporates thrive through lobbying. Political donations are not expenditure, but high return investments! Real income is kept in tax havens by smart people. Many large corporates don’t pay as much taxes as paid by ordinary taxpayers. Good that, at least now, IMF is concerned about the growing inequality. Economists still not! Korea and Taiwan started with land reforms in the 1960s. It also focussed on providing equitable educational facilities. These policy steps led to equitable growth in these countries. In China, inequality was curbed initially through systematic policy initiatives in the agricultural sector. However inequality increased dramatically in the last thirty years as China opened up to the world aggressively. The inequality between coastal area and inland area increased. Recently, Chinese Government has taken steps to create investments in inland areas aimed at reducing the disparity. South Africa, in the post-apartheid period, addressed the issue of inequality. Since the inequality is structural, the results are slow. In Ghana, structural inequality is regional in nature. Most of the export activities are in southern region and consequently poverty rates have fallen there. However, the northern region was neglected. But politicians have realized the huge regional disparity and various policy measures have been initiated to reduce the gap. In Latin America, inequality is coming down because of certain effective policy measures. Direct cash transfer to parents of children for sending children to the schools is a successful policy measure. Both IMF chief and OECD chief kept on saying that the economy is better and there will be more job creation just before the recession. They couldn’t possibly predict the signals of economic slowdown. He quoted Willem Buiter, who was the Chief Economist at the European Bank for Reconstruction and Development: ‘Poverty bothers me, inequality does not. I just don’t care’. Interestingly, Wade says, Buiter is now the Chief Economist at the Citigroup. Robert Wade said: Economists should understand the link between inequality and economic stability. UK, US and many countries are facing the consequences of Plutonomy. (Plutonomy means economic growth that is powered and consumed by the wealthiest upper class of the society). Governments are now for corporations, of corporations and by corporations. One can see in history that rapid liberalizations have resulted in inequality. Mr Anurag Behar, the young and dynamic Vice Chancellor of Azim Premji University effectively handled the Question-Answer session after the lecture and discussions. All speakers tend to agree that the economists are profoundly ideological. Main stream economists need to know more about macro economy in the context of people rather than just dominant market forces. They say India escaped sharp downfall because the liberalization was not very rapid. But I would have been happy if all the three of them admitted that Indian regulatory system was relatively more mature, grounded and robust than many of the ‘developed’ countries. Yes, present India, is not just a land of snake charmers, beggars and people with shrivelled bellies, but of people who cannot be that easily bamboozled anymore with hollow economic jargons.